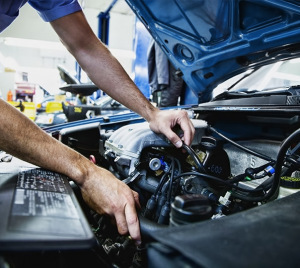 At Hawleys we offer a variety of vehicle servicing options, ranging from our “quick service” (basic oil and filter change) right up to a full annual vehicle service. Alongside this we also offer general repairs. We also provide a detailed invoice and service sheet, plus stamped service booklet for your records. Our ethos of providing a quality service at a competitive price is carried through to our servicing and repair service, with our highly experienced technicians and parts supplied being equal to or of a higher specification to that of the manufacturers original parts.